The single hammocks are still very spacious and are big enough for one person to lie comfortably in, and just small and light enough to be packed up to become the ideal travel companion. Naturally a wonderful Siesta swing in the home and garden too. The Amazonas hammocks are hand woven from durable cotton. Extra thick cords are used to ensure nothing will tear and the finishing loops are hand-worked and reinforced to prevent abrasive wear. The cottons are dyed with high-quality dyes, which are especially selected for their compatibility with health and are obtained directly from European manufacturers. Sumo Silver: This is a metal frame made from powder-coated steel. Other stands are available please see the further information for pictures and contact us for prices. NOTE: Deliveries to offshore islands and areas of Scotland are subject to an additional charge – please contact us on 01604 780350 to avoid delay at time of order. The Popular 66 is 1.93m wide by 1.95m deep and comes with one roof vent and an optional base unit. 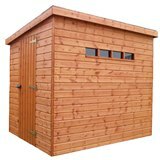 Traditional Security Shed Pent 2.44x2.44m a very secure garden shed. Zenith 5 Gas Barbecue, professional catering quality with 5 individually controlled burners. This executive chair has been manufactured from quality bonded leather. 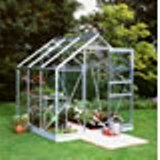 Ideal for use in a garden office. Available in black, cream and brown. This beech wooden chair features a large seat. Ideal for use in a garden office or log cabin.